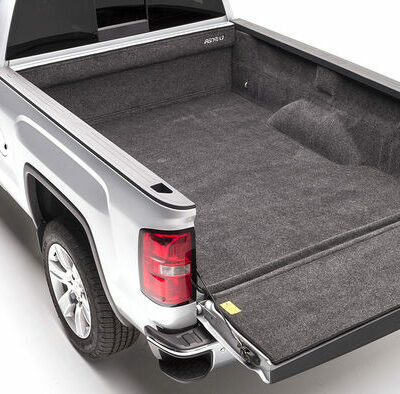 For the ultimate in truck bed protection, nothing beats Rhino Lining. The industries best combination of impact protection and skid resistance. 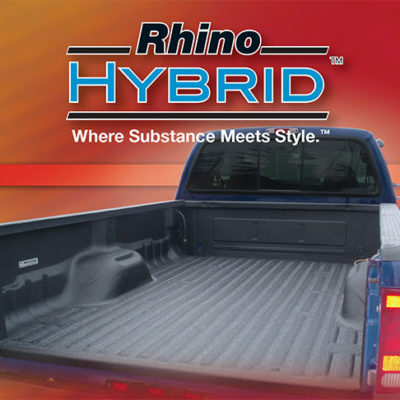 Built in UV resistance, Rhino Hybrid stays looking good for years. A nationwide lifetime warranty ensures you’re protected for as long as you own your truck. The simplest way to protect your bed from scratches and dings: Pendaliner! Ribbed design with built in skid resistance protects your bed and looks great doing it. Tailgate protector included and all tiedown are left accessible! Quick, easy install. Custom molded for a perfect fit, this ultra tough liner gives the feel of carpet. Polypropylene material resist fuels, acid, UV rays and can be hosed out . Easy on the knees and pets love it! Bedrug is that perfect finishing touch under a camper shell or a bed cover.